"It was a really big deal for SpaceX"
Why it matters: For decades, NASA executives met in the Kennedy Space Center to analyze every manned mission prior to approval until the last of America’s space shuttles were retired in 2011. On Friday, they returned to discuss the next mission that will bring America one step closer to launching its own astronauts: Testflight 1 of the SpaceX Dragon. 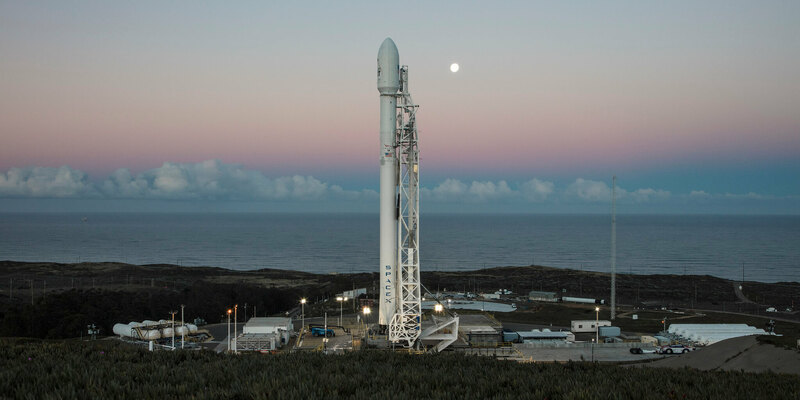 On March 2 at 2:48 am the unmanned Dragon will be launched on the Falcon 9 rocket at the Kennedy Space Center, and 24 hours later the Dragon will begin its automated docking sequence with the International Space Station. It will spend a few days in space gathering data as astronauts and NASA evaluate any damage incurred by the launch before returning to Earth, where parachutes will guide it to a soft landing in the ocean. It’s almost the exact same process that SpaceX is hoping a manned Dragon will undergo later this year. This mission is one of the most important in years, and the stakes are high. For SpaceX, the launch is their chance to prove to NASA that they’re deserving of the potentially billions of dollars in contracted missions throughout the coming years. For NASA, this is a chance to get back in the game and to send astronauts to the International Space Station under their own power, and an opportunity to learn. SpaceX's Dragon capsule arriving in Florida last July, after completing NASA's thermal vacuum and acoustic testing. For Russia, however, the news are not as positive: for the last eight years they’ve had a monopoly on the ability to launch manned missions to the ISS, which has placed a lot of power and money in the hands of Putin. Russian representatives at Friday’s meeting raised concerns that the Dragon does not have any backup computer systems and could crash into the ISS if the docking computer were to be damaged in the launch, endangering the astronauts onboard and cutting off man’s access to Space. NASA isn’t too worried, however, and are confident that they will prove to the Russians that the spacecraft is safe enough within the week. “I guarantee everything will not work exactly right, and that’s cool,” said Bill Gerstenmaier, NASA’s associate administrator for the human spaceflight program. NASA is taking an uncharacteristic ‘good enough’ approach for this mission, rather than their normally stringent requirements. "I guarantee everything will not work exactly right, and that's cool." “The vehicle is not totally qualified for a crew flight, but we know the hardware is good enough for this flight. We expect to learn some things. We want to maximize our learning." While the mission will be completely in the hands of SpaceX, NASA will have total access to the data to monitor any potential risks to humans. The top things they’ll be watching are the Composite Overwrap Pressure Vessels, which are the special containers that protect the highly explosive rocket fuel from the pressure of launching, the propellant feed systems which deliver fuel to the boosters, and the parachutes, which need to be tough enough to handle surprise weather conditions. There’s also a mannequin onboard to see what the physical strains on astronauts will be like. The meeting concluded Friday evening with delighted, yet nervous smiles. The scene was surreal. “I’m ready to fly now,” said NASA’s commercial crew manager Kathy Lueders. The dragon takes flight in just over a week, and after a second mission testing emergency escape features in April, the Dragon will be ready to take American astronauts Doug Hurley and Bob Behnken up to space this summer.